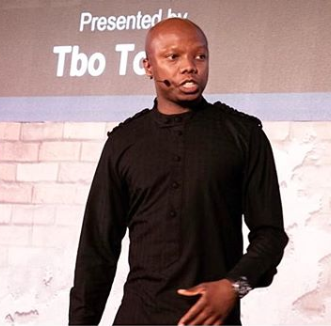 Entrepreneur, Thabo Molefe aka Tbo Touch is under fire over his racial insensitive tweet. The distasteful tweet has caught the attention of former Minister Of Sports Fikile Mbalula, DJ Fresh and many more who took it upon themselves to question Tbo Touch who is always advocating for Black Excellence. In his defence, he wrote "I’m using myself as an example, not that it’s my reality. Im advocating for Black Excellence in all shape and form. We need more @MkhariGiven @djsbu @KhanyiDhlomo maybe you should open your TV network showcase black success! We need more"
In a series of tweets, Touch says he was calling for black people to support one another however followers did not receive it like that. When I board a flight and hear a voice of a Black Pilot, tjerrrr ??. I want to know where he graduated, how many years he has flown, is he sober or not going through a divorce. Does he owe anyone money or has ever been to rehab. These are all the fruits of colonization. Oreng Chief? tacking a sensitive subject with such ambiguity.